Gluten Free Breads can be a little frustrating especially when not using yeast to get it to rise. I have trialed many breads some just didnt cook properly in the middle even after 1.5 hours of baking, some didnt rise much at all and were quite heavy. 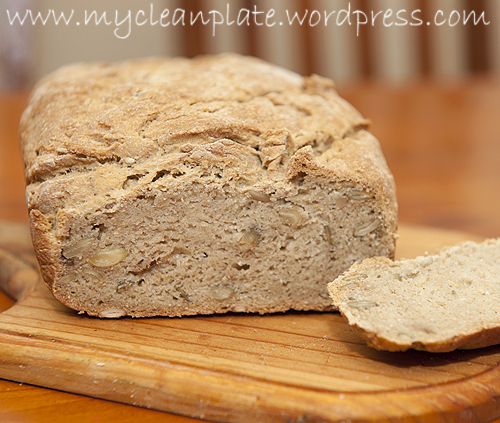 I have some bread recipes on my blog already but this one is a little different as I love Chobani Greek Yoghurt I thought I’d use it in bread making. I really do love nuts and seeds in my bread too so always love to add pumpkin seeds and things like almonds. I love the crunch and flavours. But I guess its personal choice. I made this bread last night, trying to remember to jot down the ingredients as I added them just incase it was a succesful recipe! I tried a bit last night and wow, loved it. So I decided to have some for breakfast in the form of french toast. Even better! I really love using a mix of flours, some people might not like the taste of buckwheat but I dont mind it at all especially when used with other flours. Anyway heres my new bread recipe, let me know if you make it and how it turns out for you. Dont be put off by the amount of ingredients. You dont have to use this many variety of flours if you dont have them but its always good to use 2-3 if you can. Its really simple to make, it might look daunting but really it isnt!! I promise. Preheat oven to 180 degrees C, fan forced. Line a bread pan with grease proof paper. In a bowl combine all the dry ingredients (including seeds/nuts) and mix well to combine all flours well. In another bowl mix all wet ingredients. Then mix the wet and dry together to form a dough. Place in the prepared bread tin and i like to slice the top with a knife not too deep to help make the top a little crunchy. Place in the oven for about 40-45 minutes, use a knife to insert in the bread and if it comes out clean its done. Here’s what I did with the bread for breakfast…..french toast. So simple again. 1 egg beaten with 1/2 tsp cinnamon and a dash of almond milk (or milk of choice). 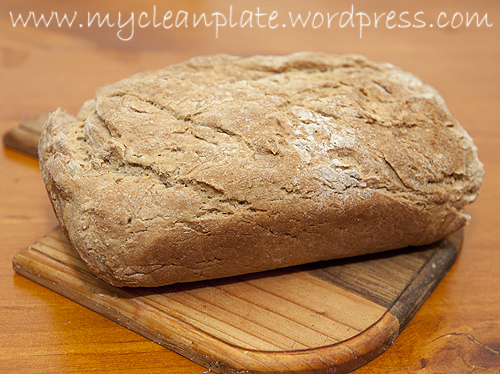 Soak bread both sides and cook in frypan both sides using coconut oil. 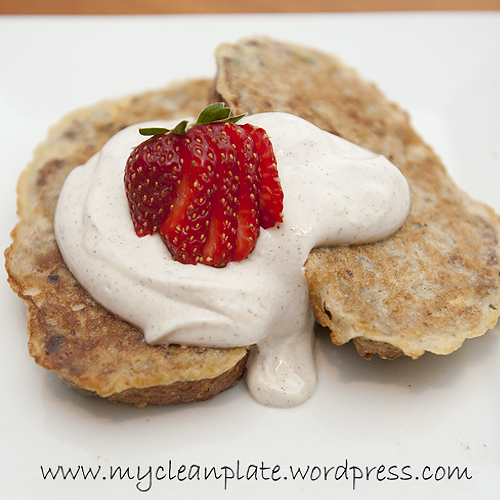 Serve with plain chobani greek yoghurt with a little cinnamon, vanilla essence and rice malt syrup. Or instead of rice malt syrup use vanilla or berry protein powder. Great pre or post workout meal. YUMMMMMMMMY! Here’s a new bread I have been playing around with and think I finally have got it right, I do love a little crunch to my bread but you can leave out the pumpkin seeds if you wish. 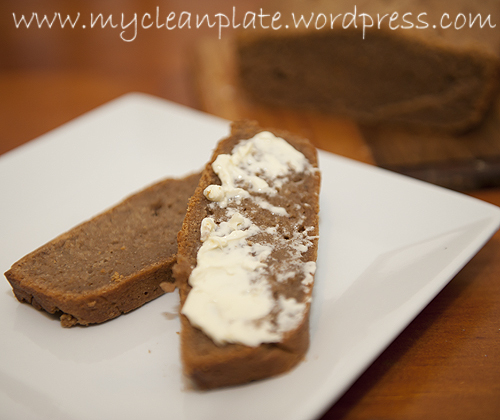 I’m really happy with this bread, the flavour is yummy and it toasts great too. 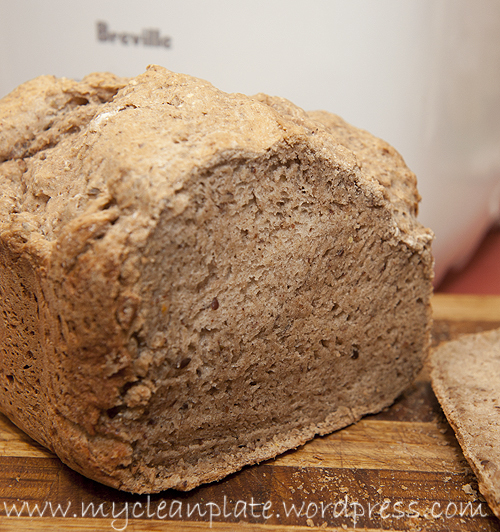 Gluten free bread making can be a little hit and miss and frustrating at times but with a little tweaking here and there each time finally it all comes together and you get a really yummy bread. So I’d love to share my new recipe with you all…..
Here’s another recipe that I have been meaning to blog about. My eldest daughter loves peanut butter and the other day I thought I’d try freenut butter, its made from only ground sunflower seeds, has a nice sweetish nutty flavour, slight aftertaste I thought but still nice and Tayla loves it too so can now take that to school. Freenut butter can be used instead of peanut butter if there is any peanut allergies among family members. It works fine! This loaf isnt a massive loaf but the entire thing goes in one hit with all my kids!! They love it warm spread with butter or peanut butter (ofcourse lol). This is so simple to make. Oh and there is coconut milk in it which I know there are conflicting information regarding this and the low fodmap diet. If unsure just use almond milk and substitute some of the flour for extra coconut flour. So Tayla can take this to school I just use freenut butter and she still enjoys it with her nuttelex dairy free spread! 3/4 cup smooth peanut butter (or use freenut butter or use another nut butter of your choice if you arent keen on peanuts) if you prefer chunky peanut butter by all means go for it! Preheat oven to 170 degrees fan forced. 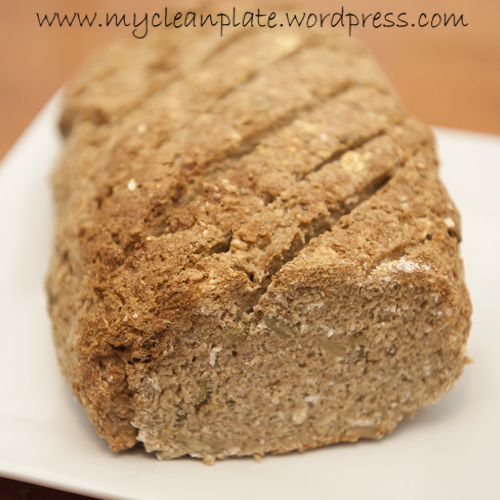 Line a loaf tin with grease proof paper, this makes it easier to just lift the loaf out! Using electric mixer cream peanut butter and rice malt syrup. In a another bowl add flours, spices, salt, baking powder and xanthan gum and whisk with a fork or sift until thoroughly combined. Alternating with flour mix and the coconut mix add to the peanut butter mixture on a low speed. Pour the batter into the prepared loaf tin and bake in the oven for about 50 minutes. Carefully lift out the tin using the overhanging grease proof paper and place on a wire rack to cool slightly. 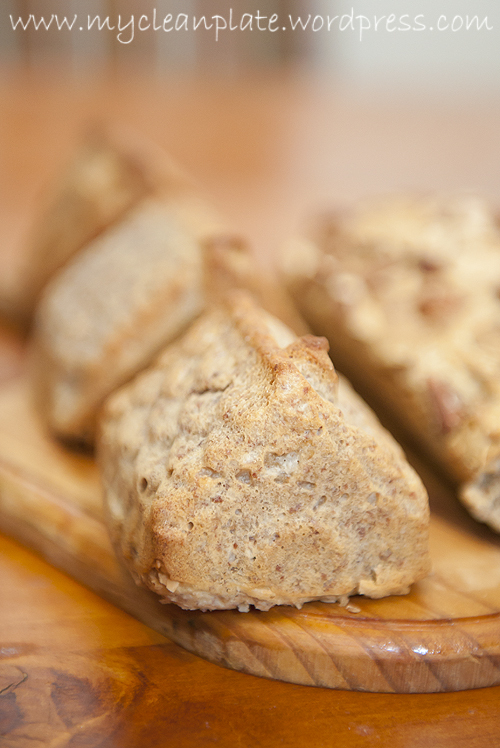 Carefully slice and serve while warm with butter or peanut butter…..YUUUUUUUM!! I love bread, anyway it comes. 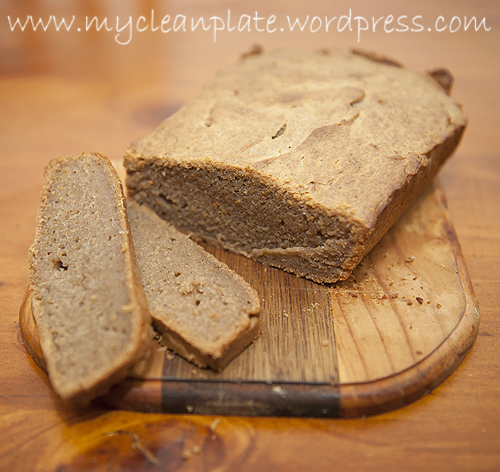 But being on the low fodmap diet puts me on the yukky gluten free bread, but since I have been making my own I have been enjoying going gluten free much more. 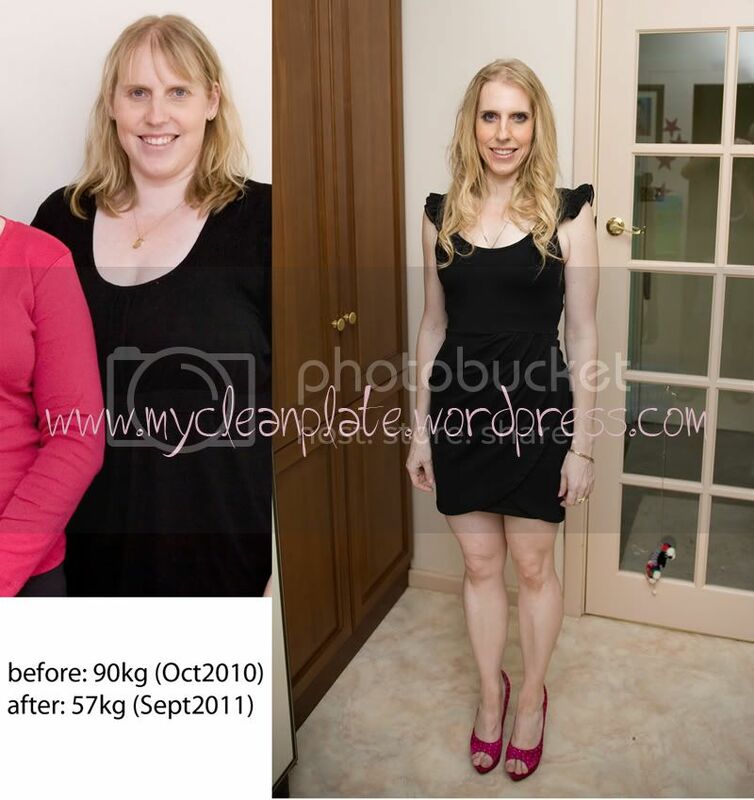 But sometimes I want to feel like I am eating all those carbs but I’m not really…..so its hello almond meal!! 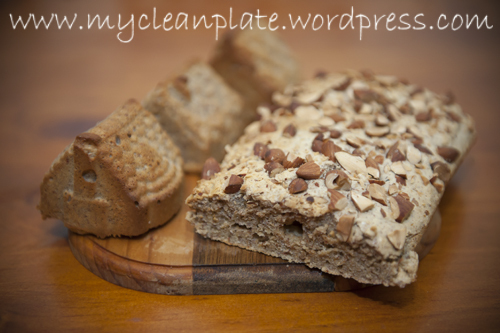 So I went searching for some ideas and here’s a low fodmap bread with yummy flavour, healthy fats from almonds and coconut oil what more could you want. with added fibre from flaxmeal too. 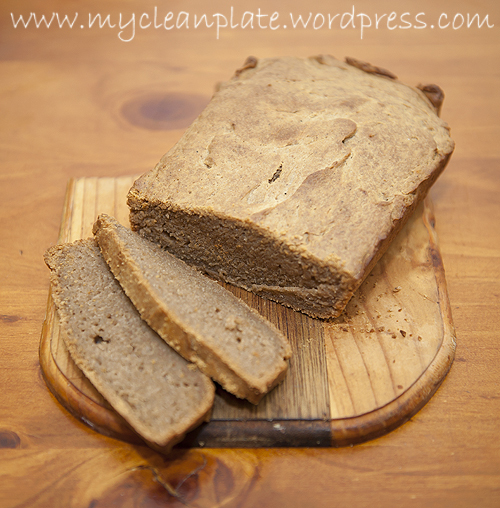 Now this bread has a great flavour and is sort of more like a savoury treat but you can make this more sweet if you want adding more rice syrup or rice malt syrup but really I dont think it needs anymore sweetness, its prefect! I love topping mine with roasted almonds and then thismorning I toasted it, spread a little peanut butter on it and topped it with a few thin slices of banana. But would have been perfect toasted with a tiny bit of dairy free spread (Nuttelex) or butter if not lactose intolerant! I made 2 batches, bread and muffins both were great. But I do prefer my bread a bit higher so will make this again later in the week doubling the recipe and increasing the cooking time. I picked up a cute bendy muffin tray which is little houses, kids love it! Preheat the oven to 170 degrees (fan forced) . Grease and line a loaf tin or muffin tin. In a bowl combine dry ingredients. In another bowl using a mixer (or use a food processor) add the coconut oil, syrup, eggs and mix until combined. Add the dry ingredients and mix well. If adding nuts add this after you have mixed the batter (especially if using the food processor). Pour in to your prepared tray and top with nuts if you wanted. For the loaf bake in the oven for about 28-30 minutes. I made larger muffins so they took about same, but for smaller muffins check it after 20 minutes. Allow to cool slightly before removing from the pans. Can be frozen. Tastes great served warm with butter!!! 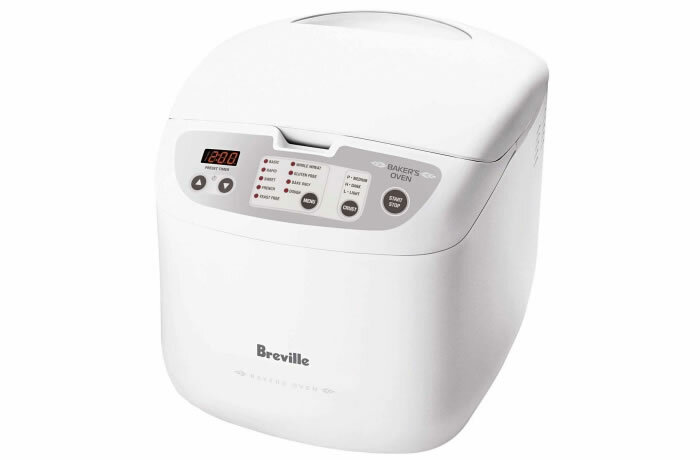 I have a Breville Breadmaker BBM 100, I bought it about 6 weeks ago specifically to make my own gluten free bread as I was making it by hand and thought it would be just easier (and I hate the taste of bought gluten free bread…yuk). One of my favourite breads I like to make is a spice bread, originally it had sultanas in it but as I am not a big fan left it out and changed it slightly to suit my tastes. 2 Tbsp brown sugar (for a sweeter bread original recipe calls for 1/4 cup, I quite liked it less sweet). For me I put all ingredients in the bread maker in that order and put it on setting 7 (gluten free setting) With a D setting for dark crust. Or you could mix all ingredients together, allow to rise. Knead and shape into a bread loaf shape or into a loaf tin and bake in the oven time may vary though so maybe 45 minutes at 200 degrees (your loaf should sound hollow when you tap the top). 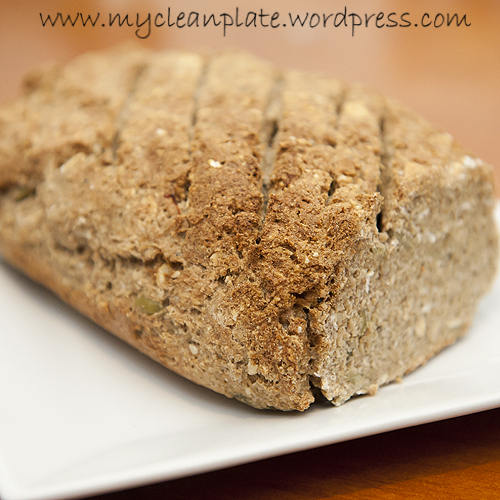 I make this bread in my bread maker and havent tried it in the oven so can only estimate for you. If you make them into rolls then time will be quicker maybe 20 minutes.